The debut EP by soulful songstress Yolanda R. With her versatile Soprano, she weaves musical tapestry. 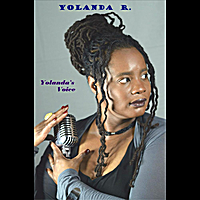 "Yolanda's Voice" includes originals, ballads, standards and creatively reworked covers. Check out the vocally gifted Yolanda R.
This album is the compilation of songs that inspired me or were borne out of inspiration. It is the culmination of my dream to record and release music that reflects me in my lifetime. All of the vocal arrangements were done by me because I believe that if I am singing a song the way that someone directs me to do, then how is that me - Yolanda R? This EP contains original songs, a couple of creatively covered songs and a hymn that means a great deal to me. I have experienced "Amazing Grace" by finally summoning the courage to sing freely from my heart. For many years I did not sing because I judged myself as "not good enough". I am here now. And what I am now and all that I have now is enough for the moment. I hope you enjoy. Please leave reviews and comments as you desire. Peace. Wonderful album Lady Yolanda R ! I bought and listened to her album; wow it's really wonderful ! musically and vocally with a beautiful and heartfelt lyrics,Yolanda R is an awesome artist, songstress and songwriter, she gives her heart and soul into her music to express her art, if you want a gorgeous trip through the RnB genre with the gorgeous queen of RnB Yolanda R, please take the time to purchase her magic album more than excellent .